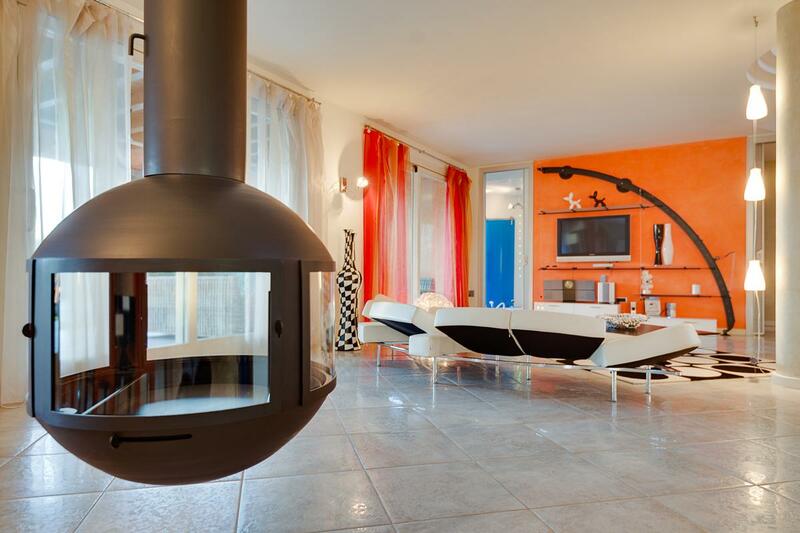 Dream of Italy come true with in this charming villa in the Lake Garda area. Lake Garda in northern Italy is at the edge of the Dolomite Mountains and is a popular tourist destination. This lovely home offers lake and mountain view. 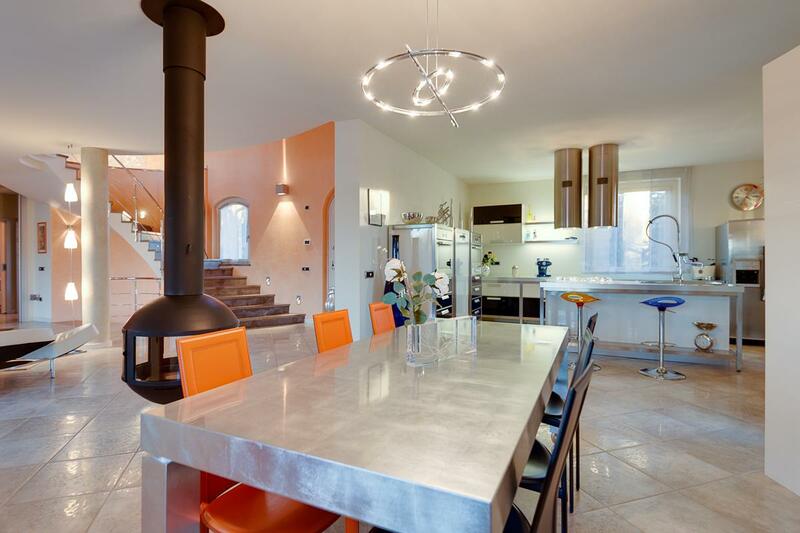 The home was rebuilt in 2013 with high quality modern finishes. The home has three levels including the main level that features a living room, dining area and kitchen. The open space leads up the the bedrooms. 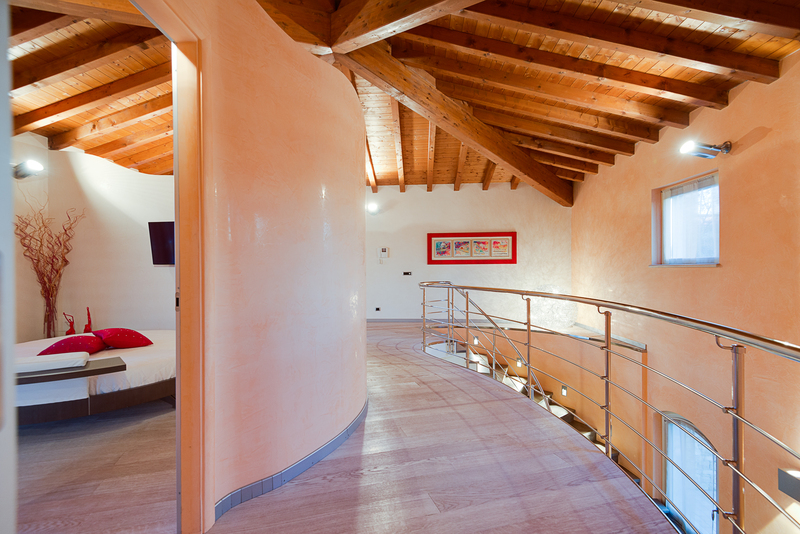 Wood beamed ceiling definie the upper level of the home. 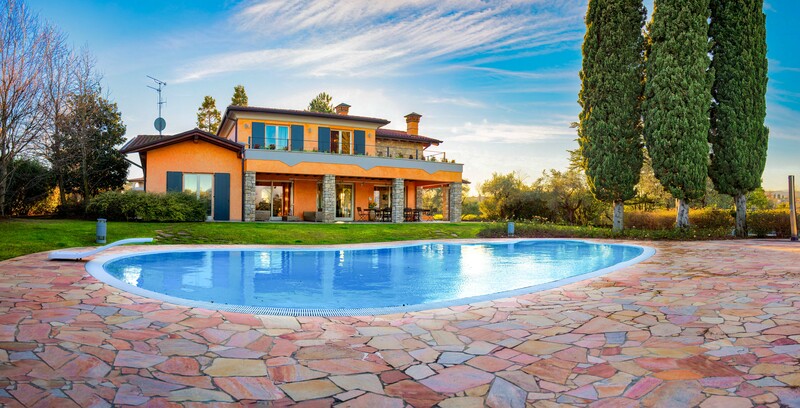 The property is wreathed with green olive trees and a large garden with pool and is surrounded by some other beautiful villas, a lush olive grove and lawns. 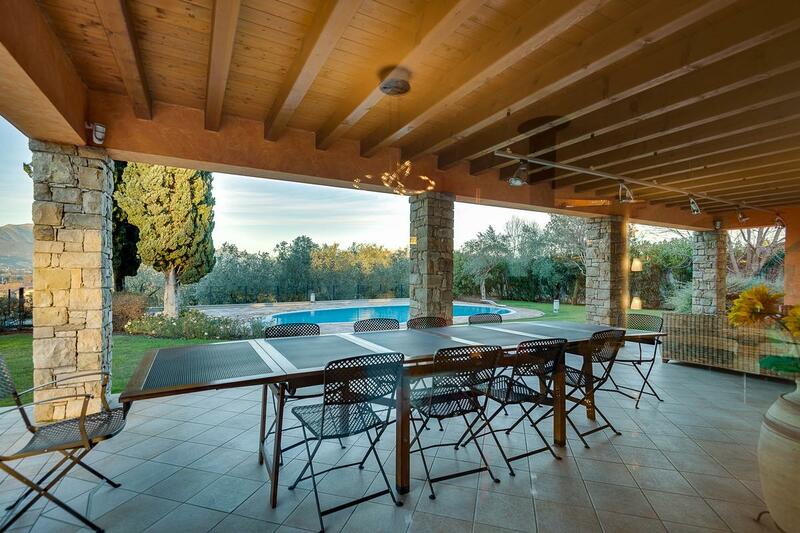 This home is listed for 1.95 million euros ($2.41 million US) with Cofim Immobiliare and is showcased by Luxury Portfolio.